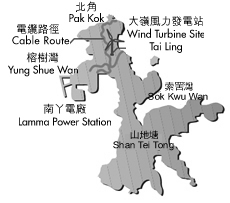 Most of the islanders live on Yung Shue Wan (榕树湾 róng shù wān) , which is at the north part of the island. 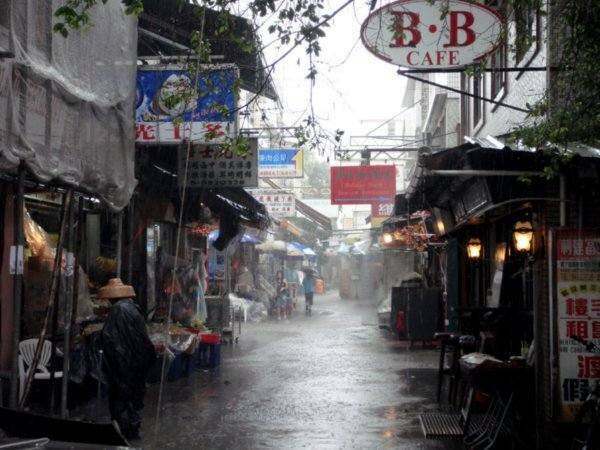 Yung Shue Wan boasts of its exquisite shops, exotic cafes and enchanting bars, some of which are run by foreign traders. Here tourists can buy handicrafts, articles for living use and foreign snacks. While eating seafood in a restaurant by the seaside and enjoying the coastal scenery is a distinctive way to experience Lamma Island. Strolling on the Yung Shue Wan Street which is actually a lane you will meet a lot of foreign inhabitants leisurely walking their dogs and two or three islanders chattering. Tin Hau Temple (天后庙 tiān hòu miào) sits at the end of Yung Shue Wan Street. As the legend suggests Tin Hau is the Matsu, the fishermen’s tutelary and the Goddess of the Sea. This temple dates back to 1870 and even earlier. A pair of stone lions crouching at the gate of the temple grabs tourist attention because the stone lions are carved in western style. In the temple exhibits an ancient whale skeleton that enshrines the Tin Hau. Both Hung Shing Ye Beach and Lo So Shing Beach offer good places for the tourists to enjoy sunbathing by the beach and swimming in the sea. On the beach, you can gather a good assortment of seashells or sit under the shade to watch the vast sea. If you have enough time, you might also go to the Sham Wan, a breeding site for green turtles. Each June to October, a large number of green turtles come ashore to lay eggs. Usually during this breeding season, common people are forbidden to enter this area in order to protect the green turtles and their eggs. As tourists reach the Sok Kwu Wan, they will see lots of seafood restaurants along the beach. Sok Kwu Wan,is famous for its seafood restaurants and the largest fishing farm in Hong Kong. Because some open-air seafood restaurants rest upon the sea beach, they can offer a spectacular sea view while tourists taste the seafood. The emergence of the Fisherfolk's Village attracts more tourists to experience a true fisherman's life. The Fisherfolk's Village is situated at the Sok Kwu Wan and shows its local fisherman's traditional culture. In the village, tourists will learn how to raise the topgallant and put up sails, cast the net to catch fish, repair the net and fix the fishing boats. Fishermen's daily facilities on water, traditional fishing gears and fishing boat models are also displayed in the village. A small three-masted fishing boat presents a picture of a fisherman's household, which is almost lost in Hong Kong's modern life. Invocatory facilities and coops are set out respectively at the bow and the stern. Convenient transportation makes your travel to Lamma Island easier. A regular ferry is available at Central District or Aberdeen Pier to Sok Kwu Wan or Yung Shue Wan. Tourists will discover a serene Lamma Island in a metropolitan city. Transportation: Hong Kong Island at the Central Pier, more than 10 different classes every day, "Hong Kong and Kowloon Ferry," the company's ferry to Lamma Island Yung Shue Wan and Sok Kwu Wan, from 7.00 am to 23.00 o'clock. Diet: There is traditional Western Restaurant and food in India, the Mediterranean restaurant meals and other characteristics, 30% is not Chinese. Chinese are mainly seafood, fishermen are now catching on the island, and are the most famous "Long Seafood" and "Rainbow Seafood," the two, if you want big banquet set, they can also send a special ferry to Hong Kong pick you up. Holiday celebration: The most characteristic are fishermen there is to celebrate the birthday of Tin Hau, the Chinese March 23, at Sok Kwu Wan and Yung Shue Wan, opera performances and fireworks are the draw. In addition there is in May gave birth to the first dragon boat race dragon-boat race. 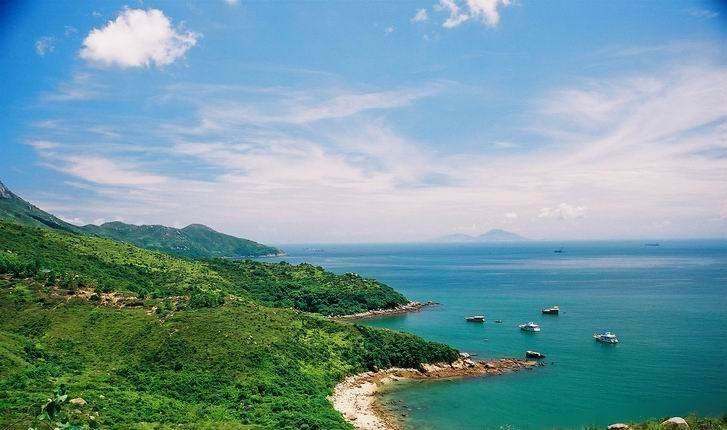 Accommodation: The cheapest accommodation are at home on Lamma Island Peak lobby Youth Camp, the most fun to live in the village itself is built vacation house.